I've fitted Tore B's HID dipped beam units which passed an MOT OK and are superb. The only problem is the main beam is pathetic by comparison. I really fancy a LED main beam. I realise this will probably not be OK for an MOT, but they'll just have to get changed for the day. What I would like to know though is which LED bulbs. I know some on this forum have fitted them and are pleased with them, but which manufacturer, degrees K, model reference would be helpful, especially if you are running with the HID dipped beam conversion and know that it all fits. Thanks in advance. Make sure you order the rhd kit! If you fit the Morimotos use Tores Hids with them not the ones they supply. Both ways require some internal modification and it's a bit more diifult to get the morimotos in because of the levelling mechanism which they do not have in the USA. You just rotate them slightly to get the frame in and then lock them back. A bit tight but it all fits in the pod. There is a led highbeam which uses copper braids as a heat sink easier to fit but output not as good. Bit overkill but I did both, benefit of led highbeam is instant flash. Thanks for your reply. The Cyclops units look a bit more involved than some I have seen advertised with an extra "box of tricks" as part of the unit and some adaptions required. I was thinking of something a bit more plug and play. The ones with the braided heatsinks are the easiest to fit and give a reasonable light output but they tend to scatter the light more than the cyclops. All the decent output leds require some sort of heatsink or fan and there's not much room in there. The Morimoto conversion is not too difficult and is reversible. the beam pattern is quite different to the std. projector with a shrap z-line cut off. 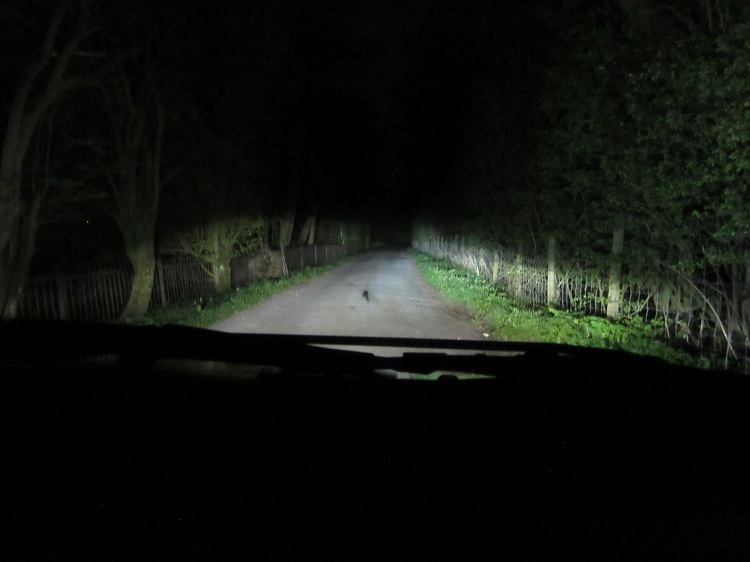 You get the benefit of HID highbeam+dip + whatever you have in the main (e.g. Osram nightbreakers). Still retaining instant flash with the main. Do not use hids in the main they don't work well in the reflector bowl. Tbh Toe's kit is ideal for normal driving but if you live out in the countryside a powerful main is very handy. With the Cycops main beam it gives glaring reflections back from motorway signs but great for night rallies. A shot of the led main with braided heat sink. Looks a very impressive setup. I checked Morimotos website and there seem to be lots of options for the 993 kit, any that need selecting? Select RHD (very important) and the splitters, these are just wiring to flip the shutter up when on main beam or flash. It's not cheap but the results are brilliant. There is a UK supplier of morimotos https://emtuning.co.uk/product/bi-xenon-morimoto-mini-h1-7-0/ but you'd have to make your own adapters and wiring kit. Great info thanks. So to confirm, just need as per my picture plus Tores Tlight kit. yep I'd recommend the Motoholder it stabilises the bulb better EM tuning have them. I think I'm going to try the the Tore hit kit first and then see if I feel like I need more. Interesting, I though i had heard rumors of www.9elevenheadlights.cpm in the US that were doing the 993, maybe both are. Will be interesting to see what they come up with as I think the 993 lights are on point for the age of the car. Has anyone tried the Phillips Ultinon LED units for their main beam. As far as I have seen does the Ultinon bulbs come in H4, H7, H8, H11 og H16 variants only, and not H1. I find 6200K way too blue for my taste, and tests show that the light output is not much higher than normal incandescent bulbs. Thanks Tore, have emailed you. Cool. Interested to read what you're using for main beam as I have the ToreB kit to fit and would like to do the mains while in there.